So, recently (and forever) I have been obsessed with making my room look cute and amazing! I must say a lot of my inspo is from Zoella. However, I’m not a millionaire youtuber so kind of have to stick with the amazing IKEA! Let’s start with my copper lamp, my beautiful copper lamp that I have feelings for. I have been eyeing up this lamp in TKMAX for like 3 months now and finally got it for a total of £24.99 which is just amazing in my eyes. All of the plant pots are from IKEA and are no more than £3 each which is amazing as I love the gold pots – they really go well with my gold and copper theme! The brass wire initials are from NEXT and are £6 each which is kind of silly like £12 for two metal letters ??? (still cheaper than the letter holder 👀) but I was thinking you could go to a craft shop and buy cardboard letters and spray paint them gold or whatever colour your heart desires. 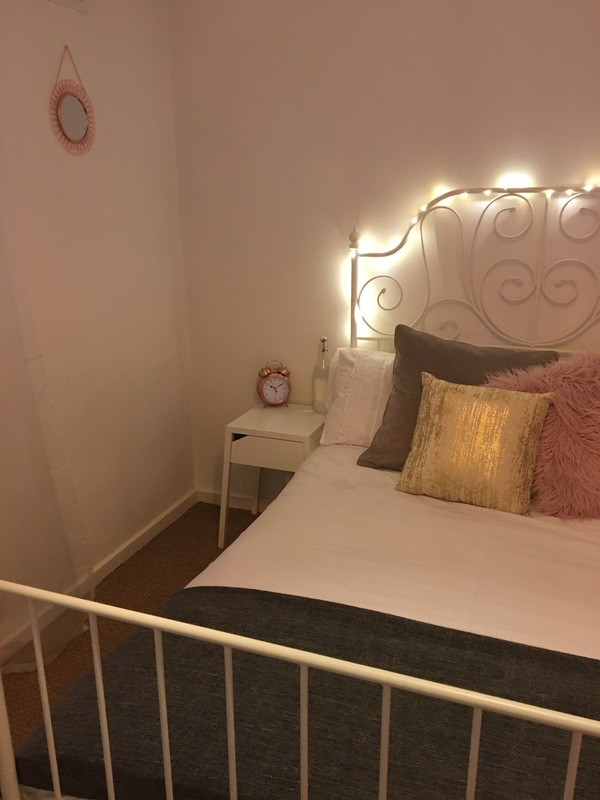 My bed and bedside table are from IKEA obvs – who doesn’t have this bed wrapped with Primark fairy lights? 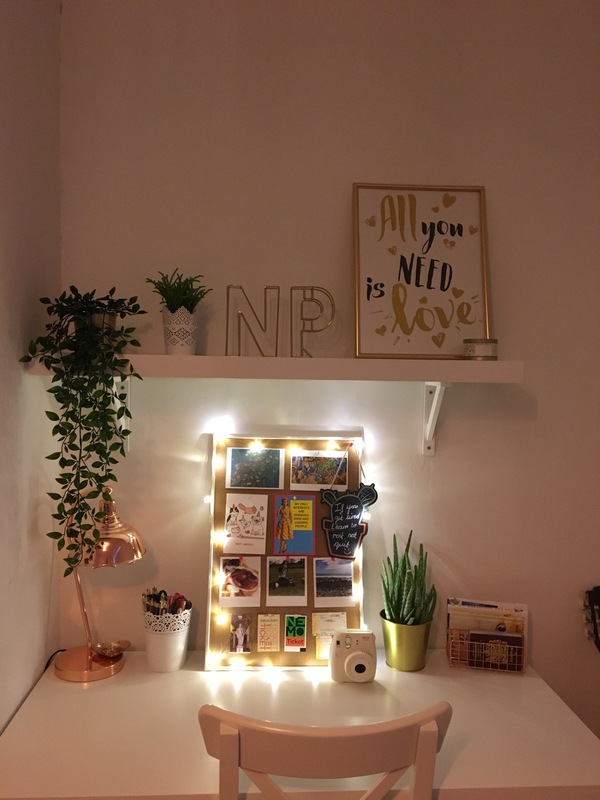 The copper hanging mirror is £5 from Primark – it’s just so cute and Primark are doing so good with the copper vibes!